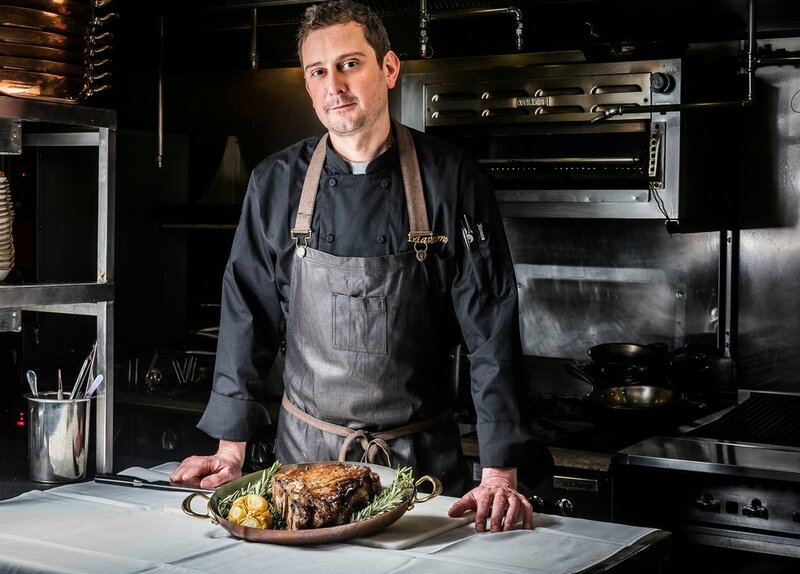 Executive Chef Massimo Fabbri grew up in Monsummano Terme, 30 miles northwest of Florence, Italy. As a boy, he aspired to be a chef, enrolling himself at the age of 14 at the hotel school at the Alberghiere F. Martini (famously located in nearby Montecatini Terme). Within a year, Fabbri was working at the four-star Parma & Oriente Hotel. After graduation, Fabbri accepted a position in London at the Tuscan restaurant L’Ombrello, where he discovered his passion for sharing his culture and cuisine. In 2001, Fabbri fulfilled another dream when he moved to America, immediately joining Ristorante Tosca’s current managing partner, Paolo Sacco, at Terrazza in Washington, DC. When Sacco opened Tosca later that year, Fabbri followed him, gaining appreciation for simple, yet elegant, dishes crafted from locally grown products. While his time at Tosca afforded Fabbri new perspectives on food, Fabbri returned for a while to his native Italy in 2002. For almost two years, he delighted patrons in several upscale hotels in Montecatini Terme, as well as in villas in Florence, with his Tuscan specialties. Fortunately for Tosca, Fabbri returned to Washington in 2004. Enthused by his time in Italy, he re-dedicated himself to Tosca’s kitchen and clientele, enhancing Tosca’s reputation as one of the most prestigious restaurants in our nation's capital. From 2008-2016, Fabbri and Sacco also partnered together to open and run the popular Ristorante Posto in DC’s Logan Circle neighborhood, which specialized in wood-fired pizza and casual Italian cuisine. Andy Clark oversees all cooking activity in the kitchen at San Lorenzo. A native of Maryland, Andy returned to the DC after attending the New England Culinary Institute in Vermont, and has held chef duties in great places all over town: Fiola, DBGB, Eat the Rich / Mockingbird Hill / Southern Efficiency. In 2015, Andy was featured by Zagat on their List of “30 under 30 Culinary Rock Stars Redefining the Industry.” He was most recently Sous Chef at All Purpose and Red Hen. Catherine worked closely with Massimo Fabbri in the kitchen at Tosca as pastry chef for three years. When Massimo decided to open his own place, she was the first person that he chose to join his San Lorenzo team. Catherine studied patisserie at Le Cordon Bleu in Paris, and then returned to DC where, in addition to her most recent tenure at Tosca, she has made desserts at: Le Diplomate, Central, Jackie’s Restaurant (in Silver Spring, MD), and The Breadline. Michael comes to San Lorenzo as a highly respected, seasoned restauranteur who spent nearly two decades as general manager and maitre d' of Galileo. He is also the owner of A La Lucia in Old Town Alexandria. We can accommodate parties of up to 16 people in a separate, private dining room.